1 Pork meat may lead to allergy and food intolerance. 2 Consumption and handling of pork is strictly restricted by some religions, such as Islam and Judaism. Consumers should be mindful of every aspect of their food, including the ingredients, processing and handling. Therefore, a fast, easy and effective method for detecting pork in food is essential in order to avoid fraudulent or unintentional adulteration of food. HALTEST Pork Dipstick Test from 7FoodPillars is a rapid, on-the-spot screening dipstick test to screen pork residues in food samples as fast as 10-20 minutes. Result from the test is only for personal use and not for distribution or media viral. 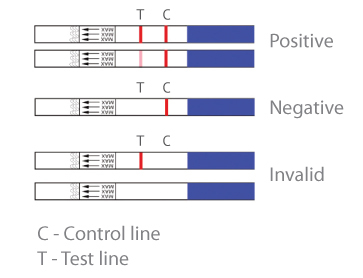 This test is used for the purpose of screening. Kindly refer to the accredited laboratories and the authoritative agencies for further action. Our company is not liable or bound to the abuse of the test result.